The Performer shows a beautiful, empty cylinder and a glass full of colored sugar or Liquid. The Performer then passes the glass through the empty cylinder. Like Magic, the glass comes out filled with candy! 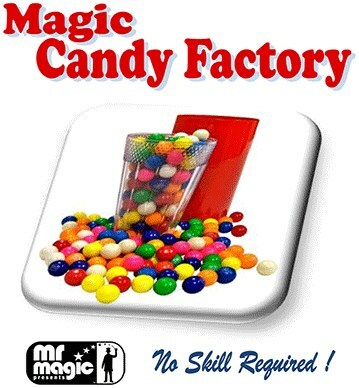 The candy can then be passed out for the audience to enjoy!Perfect for Child performers! This magic Trick is VERY easy to perform!